WHEN he steps up to a set of parallel bars, Robbie Preston sees them as just another hurdle to overcome. That's how big his hurdles have been. But it is a willingness to adapt and overcome that has the 22-year-old one step away from an unlikely world championship. 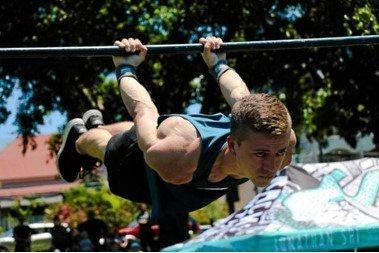 Preston is aiming to fly out to the World Street Workout and Callisthenics Federation Academy World Cup in Giza, Egypt, after finishing second overall at the recent Australasian qualifiers on the Gold Coast. It is the opportunity of a lifetime that only four years ago seemed an impossibility. It is an opportunity born out of one of the super athlete's darkest times. 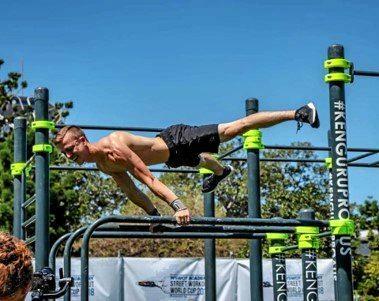 Robbie Preston placed second in Brisbane in the Australian leg of the World Street Workout Calisthenics Federation. "About four years ago, I suffered a terrible bout of glandular fever that lasted for about three weeks," Preston said. "I couldn't eat or drink without intense pain, I just wasted away. At my worst I was 185cm tall and only weighed 45kg. I hated it, I just needed to make a change." The moment he could, Preston signed up to a gym and is still a member. But it was when he found callisthenics, or what he calls "informal street gymnastics", that life began to change. Preston will represent Australia at an international callisthenics event in front of the Great Pyramid of Giza next month. Preston, who is self-taught and trains out of Genesis gym and Springloaded, is pumped ahead of the World Cup Superfinals in Egypt. "Callisthenics is one of those sports that involves building incredible core strength and really trying to have superhuman strength," Preston said. "I got involved in it through working out at the gym. "I had a bad bout of glandular fever a few years ago and lost a lot of weight, so I got into the gym to build up some weight and found out about the street workout and callisthenics. "The qualifiers was actually the first competition I have been in," he said. "I have just been learning these moves for myself. 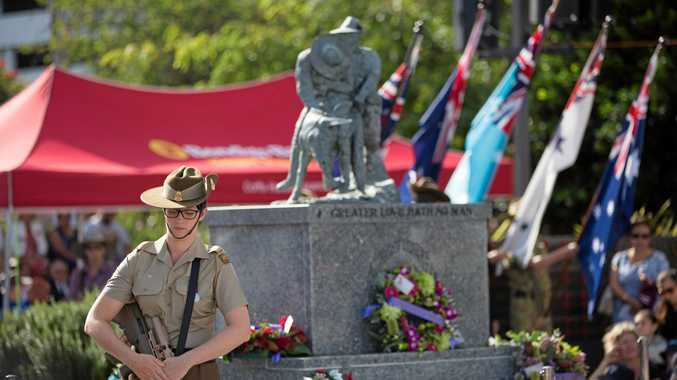 Robbie Preston will represent Australia in front of the pyramids of Egypt next month. . In less than two years Preston gained more than 20kg, building incredible strength and body control. His accommodation in Egypt is covered by the world body but he is trying to fundraise enough to cover his airfares. If you'd like to sponsor him phone 0413942915 or click here.